I’ve had cute foxes on the brain for a bit, perhaps because it’s autumn and it seems to go hand-in-hand with the color of foxes. 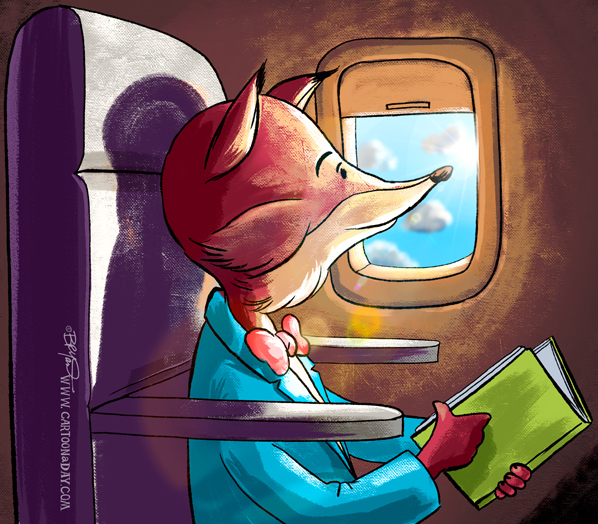 This happy one is reading a book on an airplane. I wonder where he’s headed.